FWC photo by Craig Faulhaber. 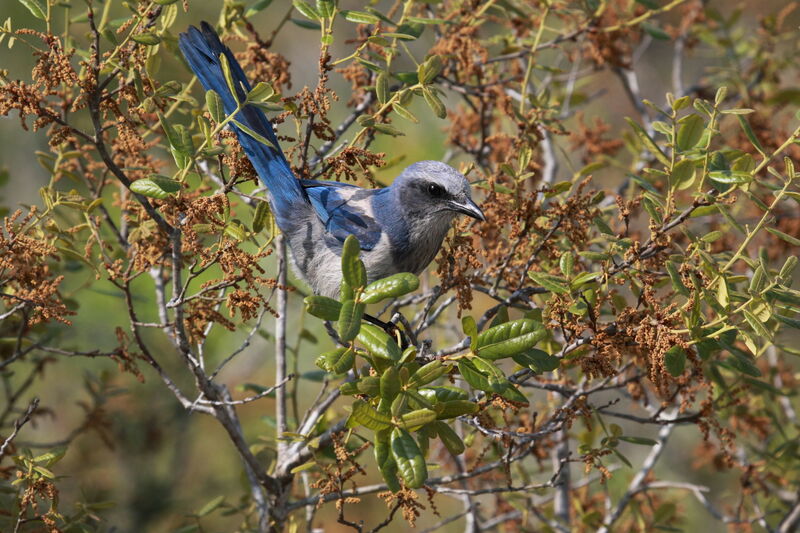 Florida scrub-jays play a starring role among the many birds you see in Florida. They are the only bird species that lives exclusively in this state. You won’t find them anywhere else. They are in the spotlight again at the upcoming Florida Scrub-Jay and Wildlife Festival on Saturday, Feb. 3, at the Lyonia Preserve in Deltona. The free festival in Volusia County offers an 8 a.m. early-bird hike, and continues from 10 a.m. to 4 p.m., with eco-buggy rides, guided hikes, wildlife exhibits and presentations, and activities for kids. Scrub-jay populations have decreased by about 90 percent since the late 1800s, primarily because of the loss of scrub habitat in Florida. Lack of natural or prescribed fire to maintain vegetation height and sandy openings on scrub lands also contributed to their decline. Florida scrub-jays are currently listed as a federally-designated threatened species. Visiting the Florida Fish and Wildlife Conservation Commission’s (FWC) wildlife management areas with scrub habitat – such as Lake Wales Ridge Wildlife and Environmental Area, Salt Lake WMA and Platt Branch WEA – to watch Florida scrub-jays in the wild. Ocala National Forest and Seminole State Forest also are good places to look for scrub-jays. Volunteering with Jay Watch, a citizen science effort coordinated by Audubon Florida. Jay Watch volunteers are trained to conduct scientific surveys that measure the population numbers and nesting success of Florida scrub-jays. The FWC is a Jay Watch partner. Keep your cats indoors if you live near scrub-jay habitat. Reduce use of pesticides around your home, since scrub-jays feed on insects. Report harassment or harm to scrub-jays or their nests to FWC’s Wildlife Alert Hotline, 888-404-FWCC (3922). What is the Florida scrub-jay call like? More like a screech than a song, since it is related to species like the crow. And like crows, scrub-jays are bold, smart and full of personality. Hear thesound of a Florida scrub-jay by going to AllAboutBirds.org and searching for Florida scrub-jay. Florida scrub-jay biology and behavior information can be found at MyFWC.com.